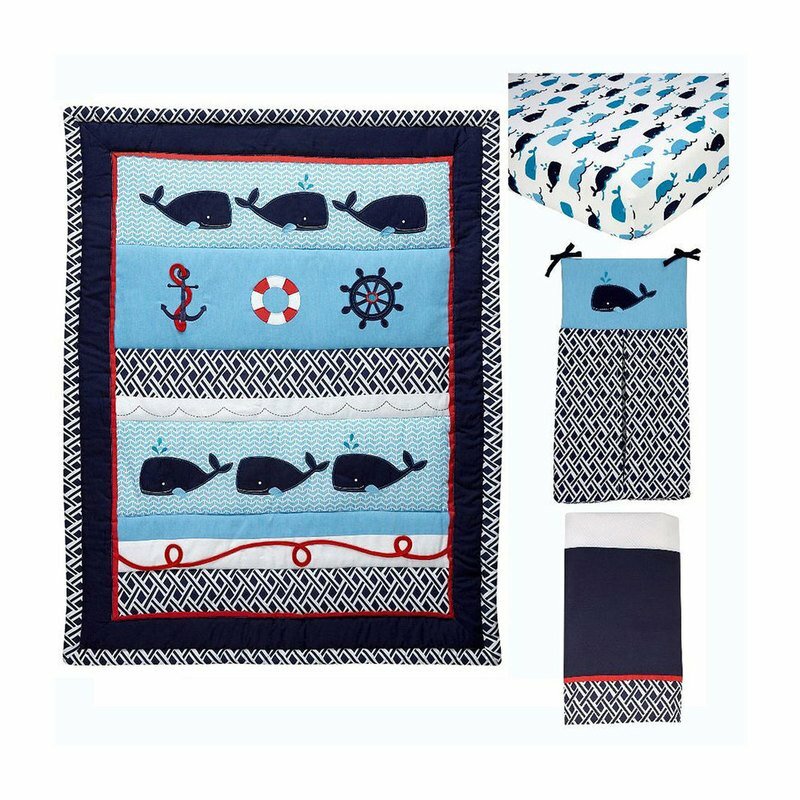 A Whale of a Tale in adventure awaits on the high seas with this classic Nautica Kids - Whale of A Tale collection. Beautifully blended bold geometric prints, applique with embroidery for a contemporary nautical look. Color pallet features navy, light blue, crisp white, and a pop of red.